What makes a light-weight jacket good? One of the most important things is how well it protects you in the elements. And secondly the jacket should be able to be carried easily or to be stowed away in a hydration pack. If you are looking for a light-weight jacket look no further than the Salomon Fast Wing Hoodie 2. This jacket is windproof and water repellent and is great if you are out in unpredictable weather. 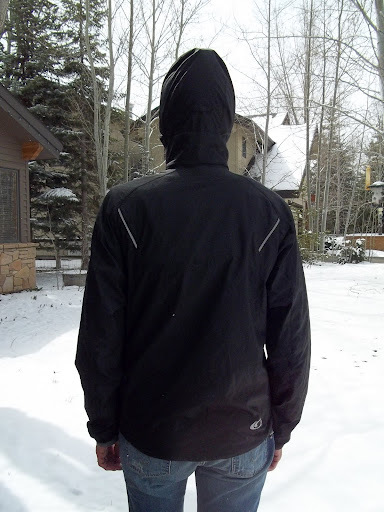 Just the other day I went on a run while it was raining in this jacket, and I was shocked to see that the little beads of water would not go through the material, so I just shook my body like a dog and all the water came off. Further into the run it started getting very windy but this jacket did not allow the wind to come in and cool my body, my whole upper body was warm even with the wind blowing as hard as it could. The next great thing about this jacket is that it has a hood with cinch cords to keep the wind and rain from coming into the jacket. If your ears ever get cold just pull on the hood and pull the cinch cords and you have a built in hat to keep you warm. If you don’t need the hood just roll it up and use the button to keep it inside the collar, this is great because when its windy the hood has a tendency to fill with wind and act like a kite. Do you ever start a run cold and end up getting hot? 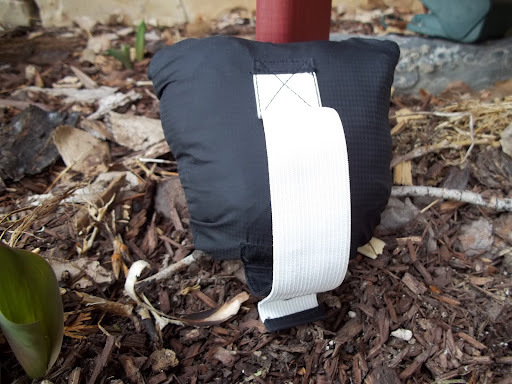 Well worry no more because the jacket has a stow pocket, this makes the jacket into a little ball which can be strapped to your arm with the built in arm strap. It can easily fit a hydration pack and and can also fit to a race belt. 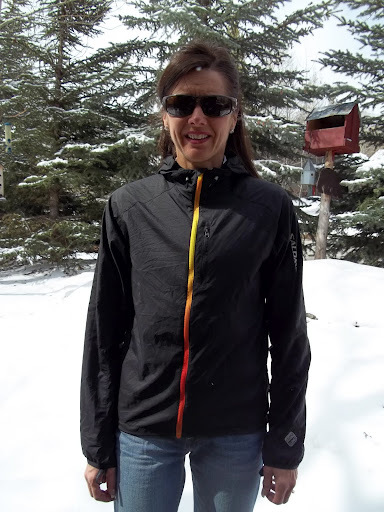 If you going out for a long run and you are carrying a pack, this jacket with easily fit inside leaving plenty of space for the rest of your gear. If you are a person who loves running during the night this jacket has reflective detailing on the front and back ensuring that you are safe on your run. 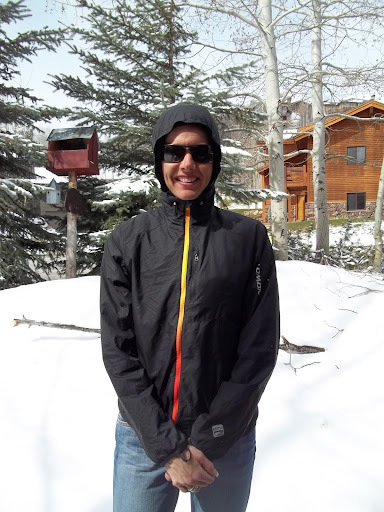 If you think this is the jacket for you go to this link and enjoy many great runs!